The Nepal government has decided to gift two pairs of adult one-horned rhinos to China as part of its mission to strengthen bilateral relations and long-term support for biodiversity conservation. 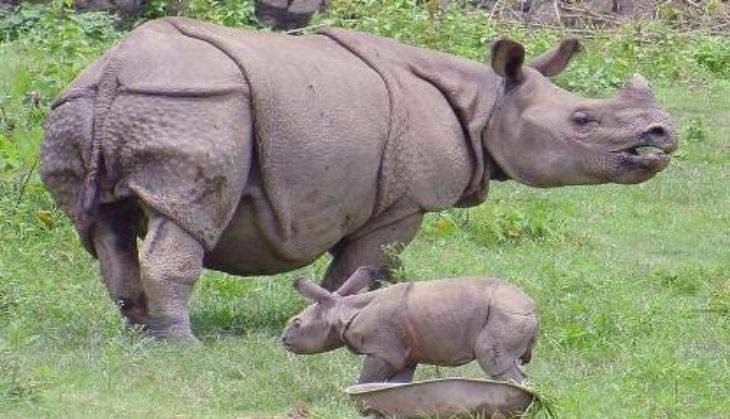 A Cabinet meeting on Sunday approved the proposal submitted by the Ministry of Forests and Soil Conservation to gift the endangered rhinos after Chinese authorities had made the request to visiting Forest Minister Agni Prasad Sapkota in January this year, reports the Myanmar Times. "This is good news for us that China is trying to establish a new area of cooperation in biodiversity conservation through rhino. It has opened the door for future collaboration in wildlife conservation between the two countries," said Maheshwar Dhakal, deputy director general at the Department of National Parks and Wildlife Conservation. According to him, rhinos from the Chitwan National Park will be gifted to China. The gift is expected to be given during the 'anticipated' visit by Chinese President Xi Jinping before October this year. Ministry officials had earlier said that in exchange for the rhinos, the Chinese side would provide financial and technical assistance for the proposed Forensic Science Laboratory in Bhaktapur, help establish an international centre for community forests, and support wildlife conservation projects in Nepal.